Travelling from London/Guildford towards Portsmouth on the A3 pass through the Hindhead tunnel (approximately 12 miles south of Guildford). On exiting the tunnel immediately take the first exit off the A3 signposted Hindhead/Grayshott. At the first roundabout take the 3rd exit crossing over the A3. At the second roundabout take the 2nd exit (the A333) towards Hindhead. The main entrance to the school is located on the left hand side. 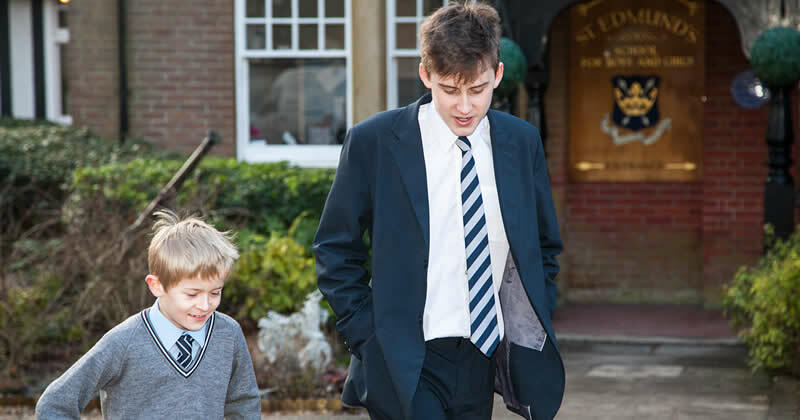 Continue down the drive, past the main school building to the visitor parking area outside the main entrance. 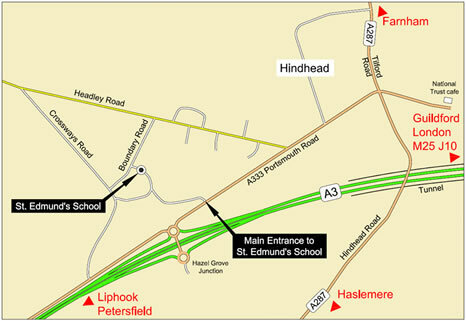 Travelling from Portsmouth/Petersfield towards London on the A3 take the exit immediately before entering the Hindhead tunnel signposted Hindhead/Grayshott. At the roundabout take the 2nd exit (the A333) signposted Hindhead.